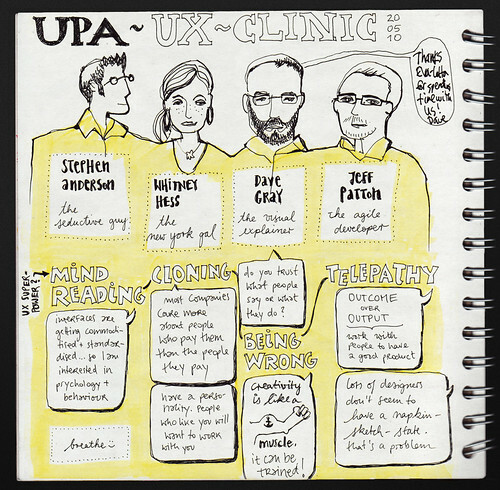 Like I mentioned in my post on UX London, I also had the pleasure of being on a UK UPA panel with Dave Gray, Jeff Patton, and Stephen Anderson titled UX Clinic. We spent about two hours answering the audience’s questions — some previously submitted and some on the fly. It was a blast. Eva-Lotta Lamm (a.k.a. 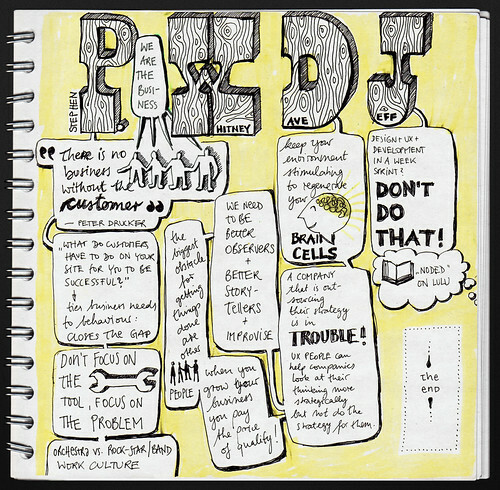 @evalottchen) created these amazing sketchnotes of the event, and I just had to share them. 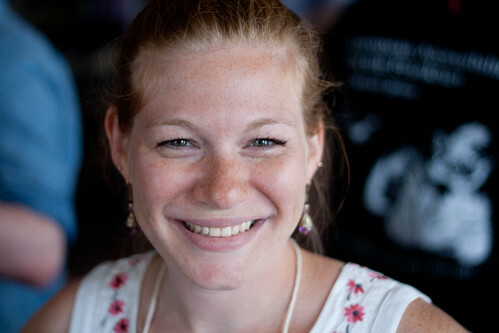 Thanks to Eva (for making me look so cute!) and to all of the UK UPA folks for a great night!